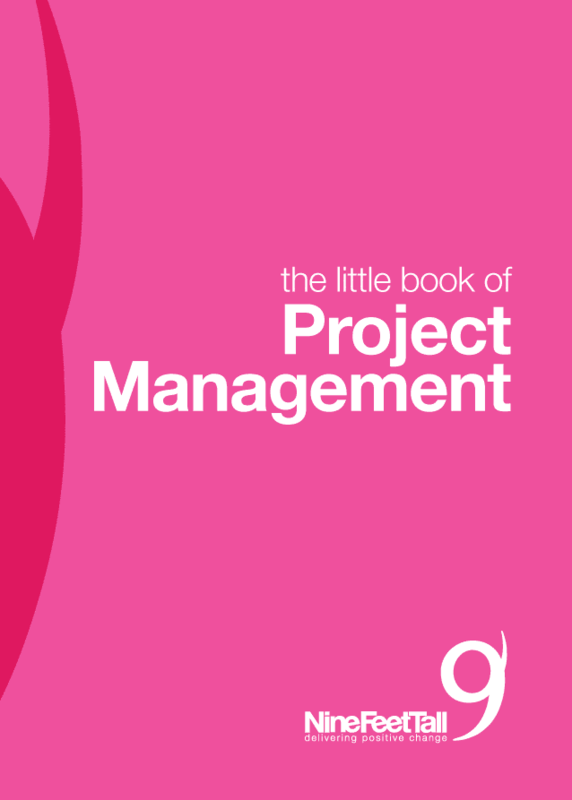 Project management is a huge industry, with many excellent practitioners with large amounts of experience and a track record of delivering projects on-time and on-budget. There are traditional ‘hard skills’ that project managers need to have, such as the ability to plan, schedule resources, handle budgets, write reports and adjust all of the above as variances occur. Just as critical to this, however, are the ‘soft skills’ of project management. It is these soft skills that we all pride ourselves on having here at Nine Feet Tall, and feel this is what sets us apart from most other business consultancies. As a values-driven organisation key attributes of our consultants are honesty, enthusiasm, and shared values alongside the more traditional attributes of ability and a proven track record. 1) Communicate – Depending on which article you read, project managers spend anywhere from 70 to 85% of their time communicating. It is fundamental to what they do. There are stakeholders throughout the project that need information, both internal and external to the business. 2) Identify and focus on what’s important – Project managers have lots going on. Being able to work through the haze and identify what is truly important and needs most time and effort dedicating to it will help drive the project forward and allow efficient use of time and resources. 3) Delegate – A project manager can’t do everything and be everywhere. They need to have a team around them that they trust to get on and do the job, and not feel as though they have to be involved in the minutiae of project work. 4) Negotiate – Negotiations in a project environment could be with customers, suppliers, contractors, colleagues or other departments. Being able to negotiate is crucial in pushing things through and ultimately getting things done, but the skill is also in maintaining or enhancing relationships during a negotiation. 5) Lead – Project managers are leaders and have to interact in different directions with various people. Whilst not everyone in the project team will report directly to the project manager, being able to motivate, inspire, and give confidence to all stakeholders will improve project performance. 6) Manage time carefully – Time is precious and there is a finite amount of it, so being able to manage ones time effectively will help a project manager stay on top of the project (and importantly allow them a life away from it!). 7) Articulate – With different stakeholders requiring different forms of communication at different times, being able to communicate and get your point across in a clear and concise way will save both you and the recipient time and will encourage the same in response, saving valuable time across the whole project. 8) Be bold – Project managers need to make decisions and be prepared to stand by them. Successful project managers don’t go back and forward, changing their mind over every decision, they decide the best course of action and go for it! 9) And finally…. enthuse – Enthusiasm is infectious and will reflect out onto the project team. At project kick-off enthusiasm is high and the project team will be motivated, but as the project wears on this can easily slide. An enthusiastic and positive project manager throughout the duration of the project could be the determining factor in project success.